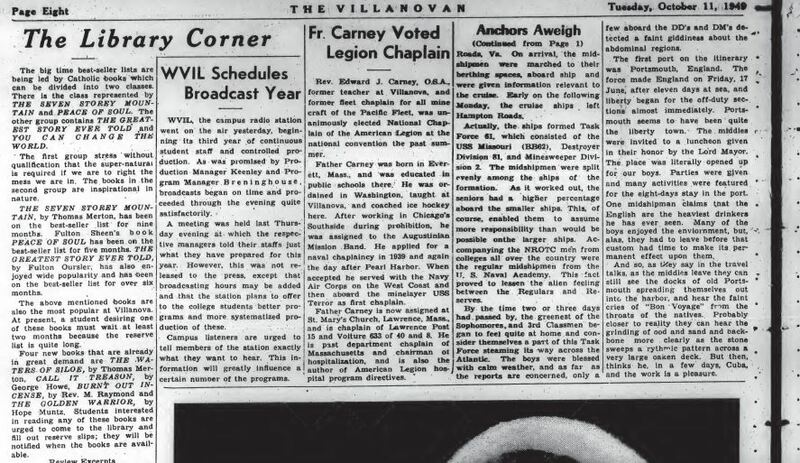 There was a time when Wildcat book lovers and library patrons could read about new book titles and library events in the “Library Corner” section of the Villanovan. 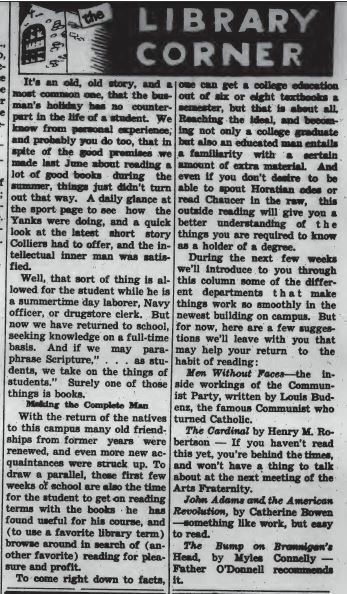 The excerpts below are from 1949 and 1950 when library news shared a page with articles about the school radio station and the Physics club. We know that ‘Cats still read books and articles, our circulation statistics tell us that, but these days they read about new resources, books, and events on the Library’s news blog online. 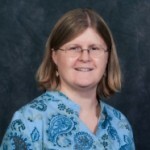 ‘Caturday blog post by Luisa Cywinski, editorial coordinator on the Communication & Service Promotion team and team leader of the Access Services team.